California Baptist University’s Gary Adcock, head baseball coach, and Rick Rowland, men and women’s swim coach, were recognized Jan. 21 for their immense work and effort as both were inducted into the Riverside Hall of Fame. Rowland’s career started as a teenager working alongside his father, who was a coach at Pepperdine University. 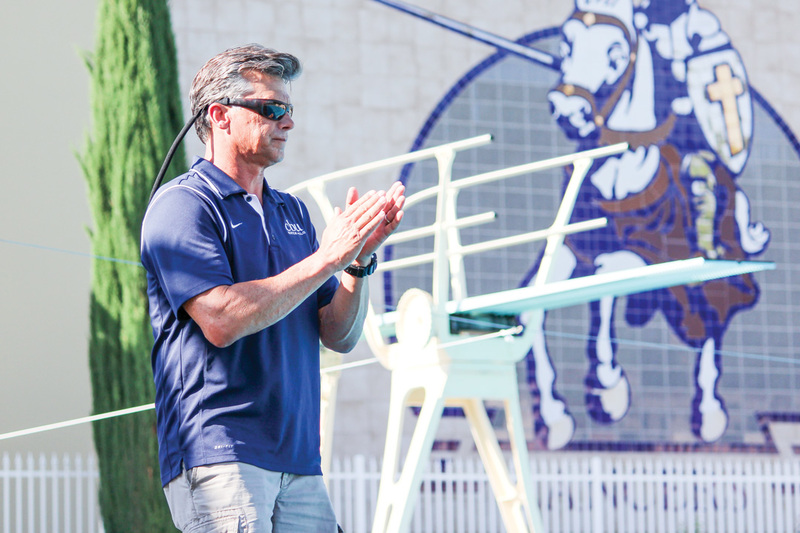 “I worked with kids ages 10-18 years old during my dad’s water polo and swim camps,” Rowland said. Since the beginning of his career, Rowland had a focus on teaching athletes the necessary skills and fundamentals. Now, he focuses on teaching athletes to be well-rounded individuals in every area of their lives. 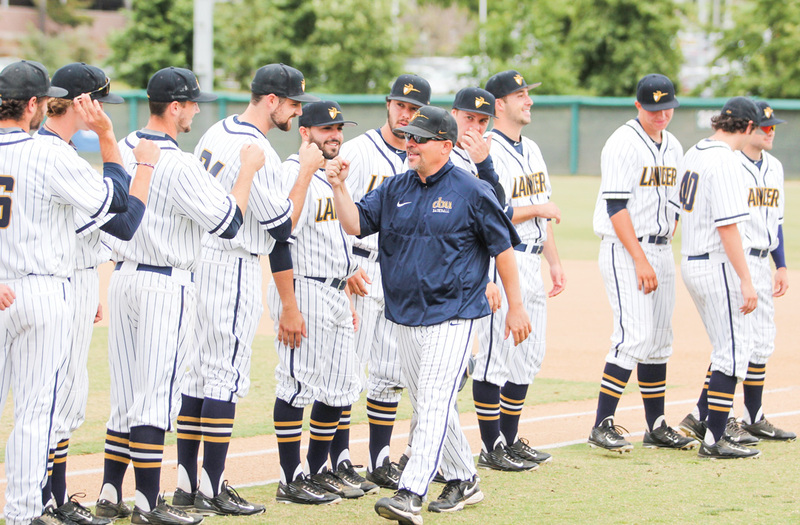 Throughout his coaching career at CBU, Rowland said his favorite memories are the bonds created with athletes, winning two titles this last season and, ultimately, when alumni return. Rowland added that his favorite part about coaching is seeing his athletes progress. “You have the opportunity to watch them grow in many different areas,” Rowland said. Rowland said he is grateful and,above all humbled, to be named to the Riverside HOF. “My name is there with pro-athletes, Olympians and many incredible coaches and community members, but in a way it means I’m getting older,” Rowland said. Katelynn Liddell, alumna of CBU and a former swimmer, said coach Rowland impacts his players with his attitude and management. “He is laid-back and loves life, which inspires his swimmers to be the same way,” Liddell said. 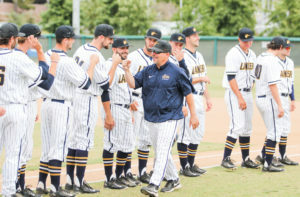 Alongside Rowland in the Riverside HOF is Adcock, who began his coaching career in his final year of his own collegiate baseball career at the University of California, Los Angeles. Adcock said his favorite part about coaching is he never feels like he is going to work. Adcock said he enjoys the connections with his athletes that coaching has provided, especially when alumni make an appearance. “I get satisfaction in seeing them come back to alumni games and so forth; I’m doing what God wanted me to do,” Adcock said. After learning of his Riverside HOF recognition, Adcock’s initial reaction was spent reflecting on his 24-year-long coaching career. “You don’t get recognized for something like that if you haven’t been doing it for a while,” Adcock said. Humbled by his recognition, Adcock said his players and the community around him have played a part in this milestone. Nathan Antoun, alumnus and former baseball player, said Adcock significantly impacted his life on and off the field. Antoun said life is like baseball as it does not always go as planned, but Adcock set an example and motivated them to push through and keep going. Antoun described Adcock as the type of person who will work relentlessly in order to be successful because, for Adcock, baseball is more than a game. After years of dedication to CBU, both coaches will be enshried by the Riverside HOF as their names go down in history along with the city of Riverside’s finest athletes, coaches and those who made impacts.